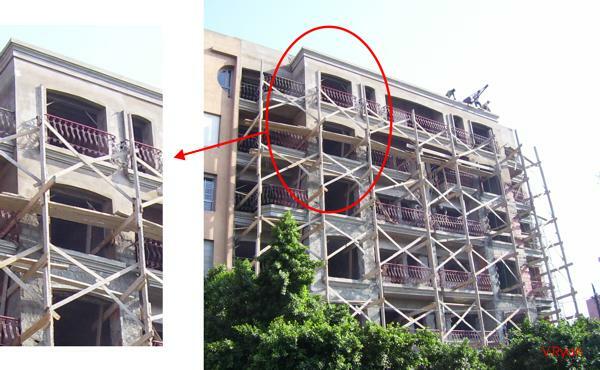 The scaffolding seen below is another good example of triangulation - or is it? The building under construction is a six story hotel in Marrakesh, Morocco (August 2006). However, if you look closely you will see that the scaffolding is not constructed from steel tube but entirely from wood. it can be erected quite easily to form a structure and dismantled with the same ease.